Stairs have gone from having a simple design element that helps us get from one level of the house to another to creative and modern features that are as stylish as they are functional. In fact, in many modern homes, staircases feature beautiful geometric layouts and stunning finishes, ensuring that they are admired by guests and family alike. An architect with structural and creative ingenuity can help you to achieve a gorgeous staircase in your own home. Shall we explore some ideas for inspiration? This zig-zag steel structure features wooden steps from the ground right to the ceiling. They seem to float in space! Do you see how the different tones and colours work in harmony with the steel design? The stone slabs on the walls create a gorgeous contrast, allowing the raw elements to work in harmony with one another. Have a look at these 15 stone walls perfect for your home (and easy to copy!) for inspiration for your own home. 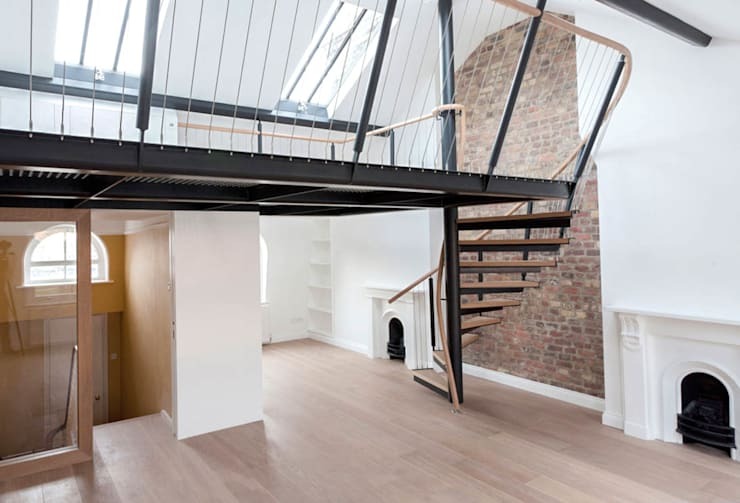 This wooden staircase with a steel railing is a very practical solution. The spiral staircase features gorgeous and lush pot plants throughout, connecting the design to nature. The architects have gone for a square shape with very wide stairs and landing spaces. The light wood is the protagonist of this modern design. Here we can see a resolute staircase that fits neatly into the side of the room. The white stairs are simply stunning. The materials used in this design are thick concrete and sleek glass, making for a very modern and edgy design. 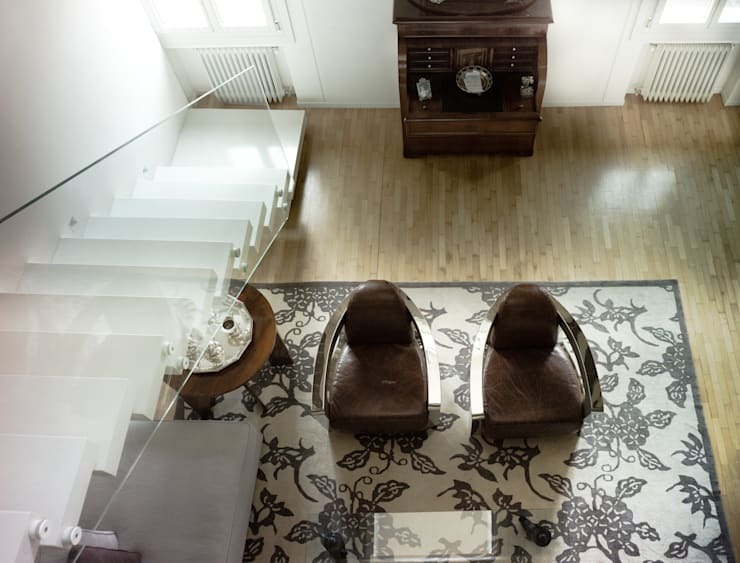 Glass is wonderful for a smaller space, creating the feeling of space throughout. This is another stunning wooden staircase with a zig-zag design. 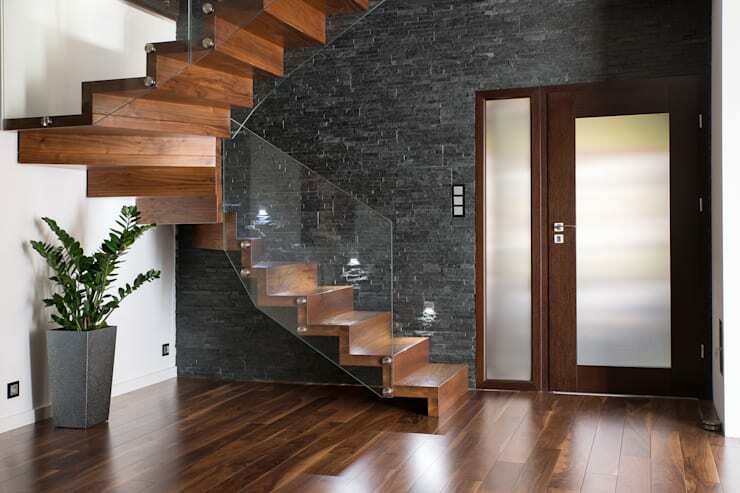 The chunky, wooden stairs contrast beautifully with the grey stone wall while the glass handrail is exceptional. This is a wonderful example of functionality and style working hand in hand. Also have a look at these wooden staircases that wow for more ideas. Here we come across an industrial chic design with a spiral staircase that features a gorgeous metallic structure. 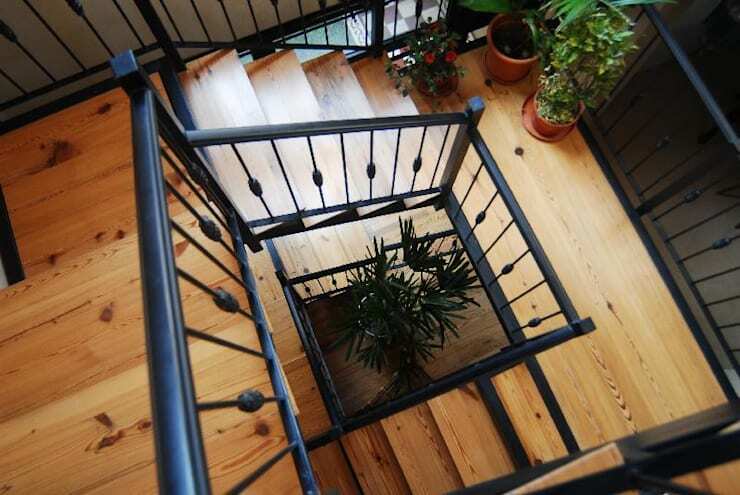 The wooden stairs soften and add warmth to the look and feel. The railings on the landing look very edgy and unique, becoming the focal point of this stunning home. 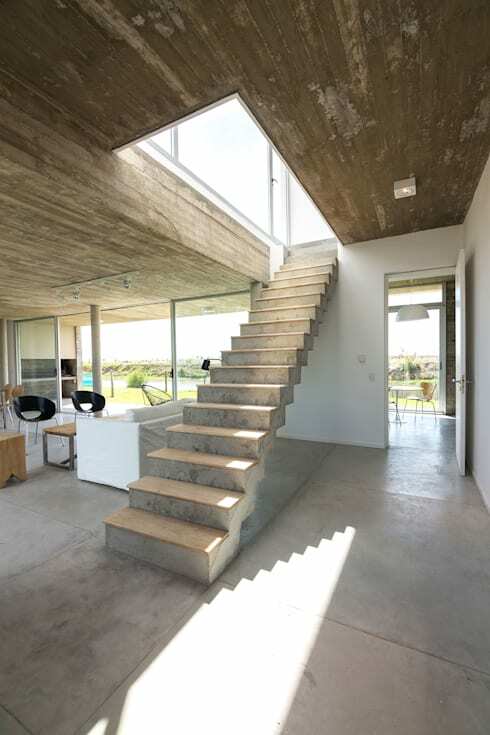 This design features a simple and linear concrete staircase that disappears up into the ceiling. Concrete is a wonderfully durable material and is becoming increasingly popular in contemporary homes. It is also cost-effective and easy to clean. 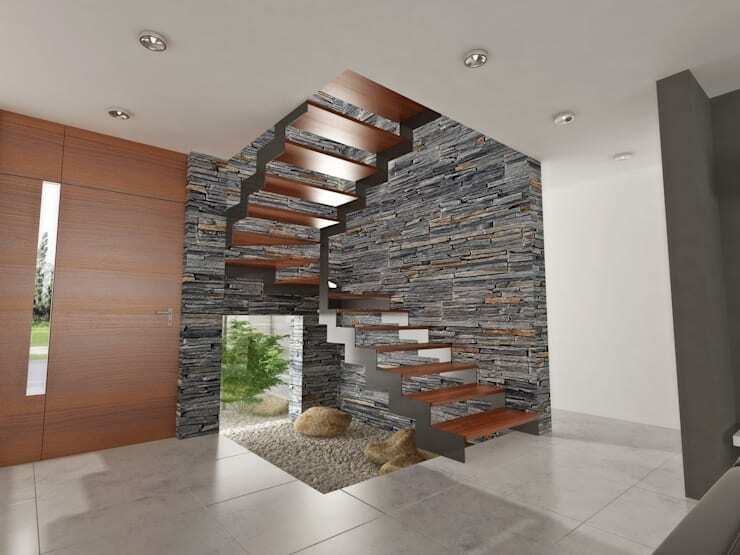 This staircase is like a stone sculpture! 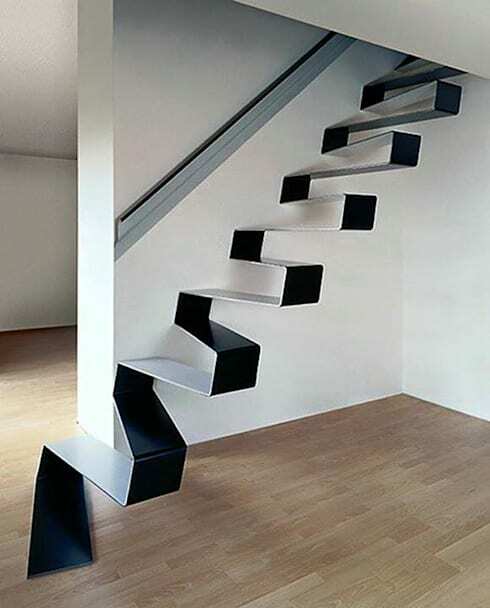 This staircase, designed by estudio 60/75 is one of our favorite! The steel design features one, single material that forms stairs all the way up into the ceiling. There is a real play with geometry and zig-zags. If you've enjoyed exploring these staircases, have a look at these 13 staircases you have to see to believe. Which staircase is your favorite?